At the Tostan Training Center (TTC), Tostan hosts international training courses in English and French on its human rights-based approach to community-led development. Our education model has been consistently developed and updated in response to feedback from thousands of communities in West and East Africa over the past 28 years. Recognizing its proven positive effects for community-led development, an increasing number of community activists, members of local, national and international organizations and governments, as well as representatives from academia and the media expressed an interest in further information and training on the Tostan model. We developed a unique 10-day training that uses a participatory, learner-centered approach, drawing its strength from trainers with extensive experience implementing the Tostan Community Empowerment Program in rural Africa. 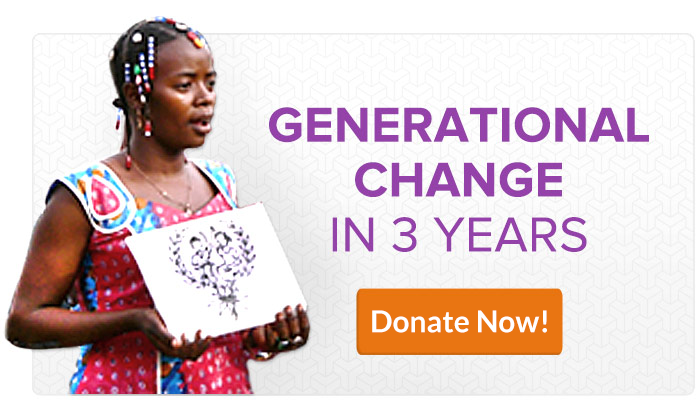 Our training serves individuals and groups who share a commitment to human dignity, transformative learning, holistic empowerment, and collective action. 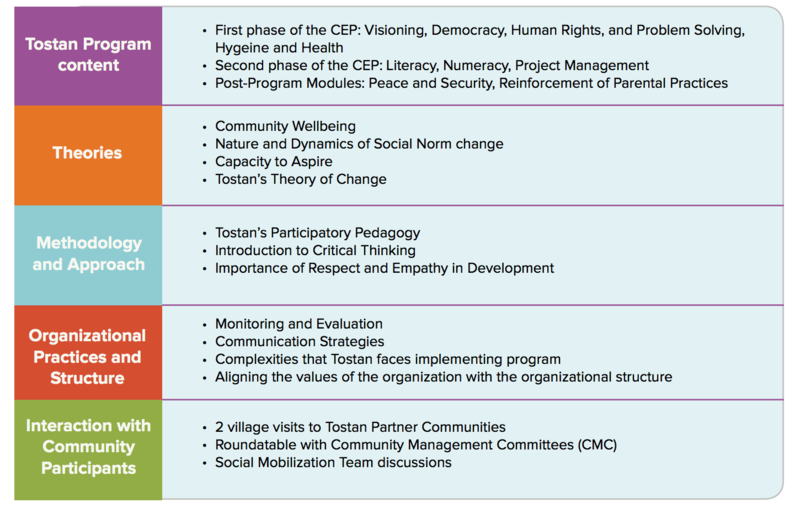 The Tostan 10-day course, “Promoting Community Wellbeing”, provides a comprehensive overview of Tostan’s non-formal, human rights-based education program which has been implemented in thousands of rural communities in West and East Africa over the past 28 years. Interact and learn from other development activists. The Tostan course runs for 10 full days and includes: participatory activities, group work, presentations and discussions on theoretical and practical content, village visits for exchanges with community leaders. Donors or staff of donor organizations who invest in community development. If you have additional questions about the training, or if you are interested in renting a space at the Tostan Training Center (as a development organization or group) please contact us at training@tostan.org.